Sometimes, the holidays can be hard to get through, especially if we’re mourning something like the loss of a relationship, a loved one or even just a change in circumstances. It can feel isolating and disheartening to go through this time of year when we’re emotionally wrung out, especially when life deals us difficult hands on top of that heartache. 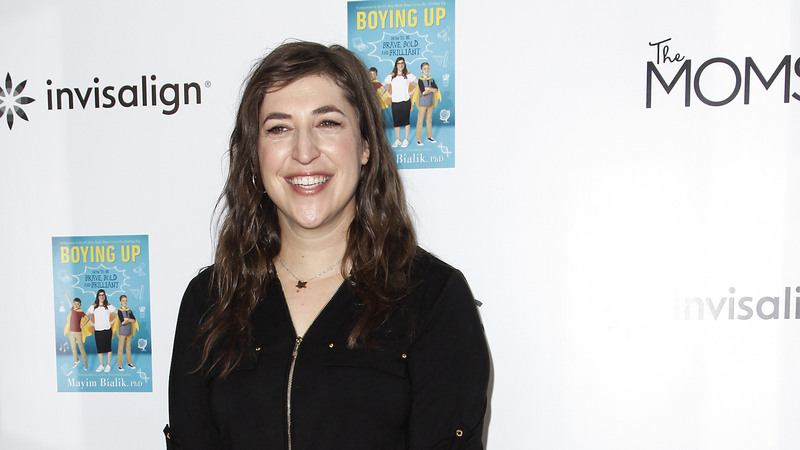 The Big Bang Theory‘s Mayim Bialik has been going through some of those difficulties this holiday season, which she opened up about via Instagram on Christmas Eve, though things luckily seem to have improved a bit since then. Following this post, Bialik filled her Instagram feed with more positive content, possibly to help combat some of her feelings. In addition to sharing her top nine most-liked posts from 2018, all of which featured her TBBT costars, Bialik also posted a heartfelt message for the crew she worked with on her first short film and a photo of some vegan cookies she baked on Christmas Day. She also took the time to update her followers on the situation with her cats and how she was feeling. In her posts since Christmas, it’s fairly clear that Bialik’s friends are helping her get through this difficult period. She went boxing on Wednesday and posted a predinner selfie, noting, “Bestie Lizzie says no more cat posts lest people think I’m a crazy cat lady. Ahem. Here’s me in a bold lip about to go have a big girl dinner. No cats allowed.” Sounds like things are, at the very least, starting to look up.